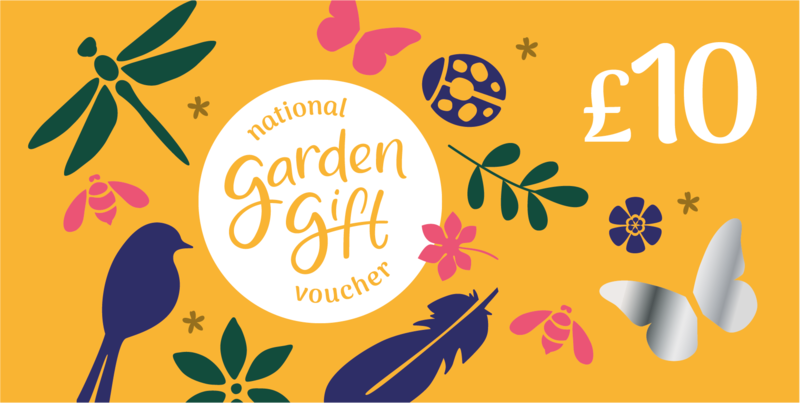 Our NGGV delivery charges are the cheapest online National Garden Gift Vouchers are accepted at over 2000 UK garden centres, shops and nurseries. They are the perfect gift for green fingered friends and family. National Garden Gift Vouchers are the only specific gardening gift voucher that can be bought and redeemed throughout the UK. You can check where they are accepted in your local area on our Voucher Information page. We can even post them direct to the recipient. A National Garden Gift Voucher is a great gift for any occasion, and whether the recipient is an experienced gardener, or just starting out, they'll be able to buy everything they need, with a choice of over 90,000 garden products. We use the Royal Mail 1st Class service for delivering Gift Vouchers. All National Garden Gift Voucher orders £60 and over are sent by 1st Class Signed For post (up to and including £100), orders over £100 by Special Delivery Next Day, all of which need to be signed for on delivery. Cut off time for next day delivery is 2pm. Any orders placed after 2pm on Friday will be dispatched the following Monday (excluding bank holidays). See our Terms & Conditions for policy on Replacement Vouchers due to Non Delivery. National Garden Gift Vouchers are operated by The Horticultural Trades Association (HTA) established in 1899, and are the most widely used gardening voucher in the UK.